For automation applications that call for high sensitivity and fast integration as well as super accurate camera synchronisation and triggering, FLIR Systems has introduced its new, fixed mounted A66xx-Series.These are cooled cameras that are suitable for automated thermal inspection and process control on high speed production and processing lines. The FLIR A66xx thermal imaging cameras have a cooled Indium Antimonide (InSb) detector which reduces thermally-induced noise to below that of the signal from the scene being imaged. As a result, these are the most sensitive in the standard FLIR A-Series range, able to see minute temperature differences, capture high-speed thermal events, measure temperatures of very small targets and synchronise with other measuring devices. A big benefit of the InSb cyrocooler is that it allows the FLIR A66xx to operate in the 3 to 5 micron, mid-wave infrared band where thermal contrast is high. This is important because the higher the thermal contrast, the easier it is to detect objects against a background that offers little thermal difference. 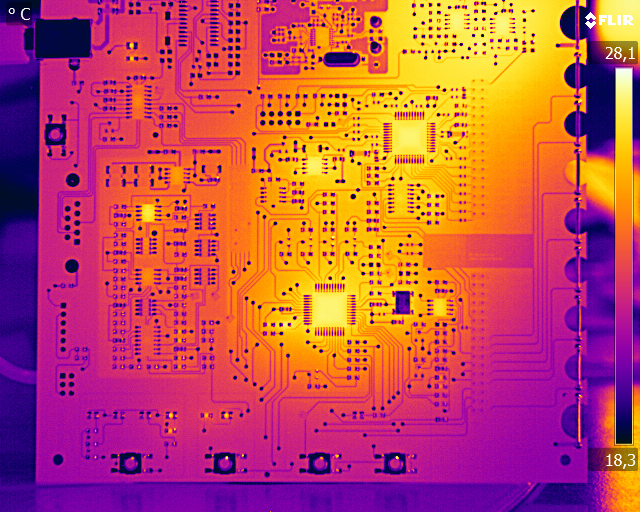 The detector produces crisp thermal images at 640 x 512 pixel resolution with a thermal sensitivity of <20mK. The FLIR A66xx models also have much higher imaging speeds than their uncooled counterparts. 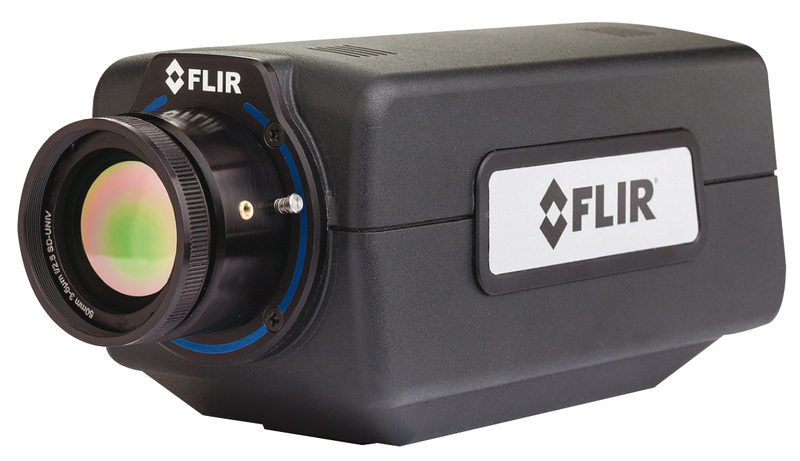 The FLIR A6600 supports image frame rates up to 480 frames per second when operating in windowing mode and the FLIR A6650, up to 4,175 frames per second in a 16 x 4 pixel window. The cameras’ incorporation of a global shutter also contributes to their ability to inspect fast moving objects effectively. This feature allows the output of all pixels to be read simultaneously rather than line by line, the method by which uncooled cameras handle the thermal data. Another defining benefit of the FLIR A66xx models is their greater magnification capacity. Their increased sensitivity means that lenses with more optical elements or thicker elements can be used without degrading the signal-to-noise ratio. The result is better magnification performance for applications such as the dynamic thermal checking of electronic circuit boards. Thanks to their cooled operation, the FLIR A66xx thermal imaging cameras may be specified with custom cold filtering options for specific spectral detection and measurement. 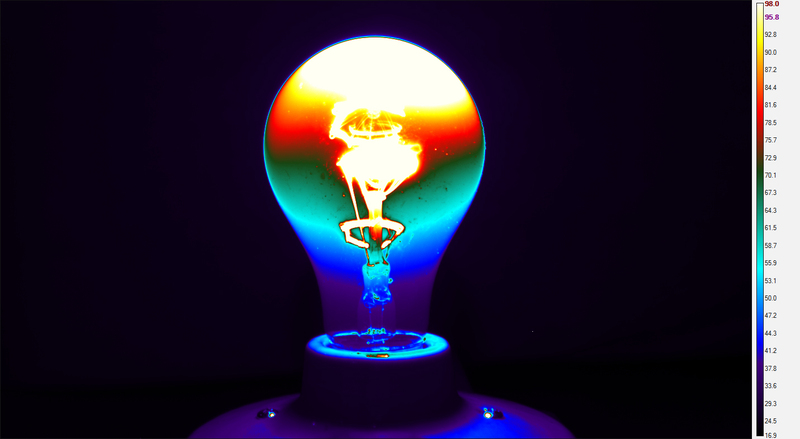 This allows these models to image through glass, measure the temperature of thin film plastics and also filter different wavebands for laser profiling and detection. The FLIR A66xxcameras use a standard GigEVision/GeniCam interface to transmit both commands and full dynamic range digital video; additional interfaces include a BNC analogue video output. The Gigabit Ethernet and analogue video are simultaneously active yet independently controlled, allowing greater flexibility for recording and display. A software developer’s kit is also optionally available with both models.